Chelsea could launch a near-£50m bid to re-sign Romelu Lukaku, Manchester City will bid £30m for Jamie Vardy, while the race is on for Jackson Martinez. Didier Drogba has urged Guus Hiddink to make former Chelsea striker Romelu Lukaku his first signing since returning to Stamford Bridge as Jose Mourinho’s replacement. The Belgium striker left the Blues in the summer of 2014 for Everton for £28million, but has been a huge success at Goodison Park and has scored 16 times already this season. 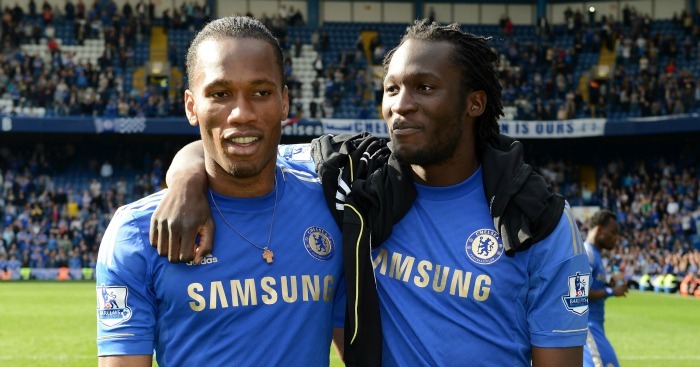 Drogba, currently with Montreal Impact, is expected to return to Chelsea shortly in a coaching role and is still in close contact with Lukaku who could cost Hiddink’s side a fee of around £50million, claims the Daily Star. The Ivorian feels that Lukaku could prove the perfect replacement for Diego Costa, who has struggled for form this season and was booed by some supporters following Mourinho’s departure. Manchester City will launch a £30m raid on Leicester City in January to sign striker Jamie Vardy. According to reports in both the Daily Star and The Sun, City boss Manuel Pellegrini wants to snap up Vardy to boost his ‘struggling’ strikeforce. (That’s a struggling City attack, who managed just the four goals on Boxing Day!). The papers claim new Chelsea chief Guus Hiddink has already identified Vardy as his No.1 priority signing. But the Blues will face tough competition from Man City with Pellegrini more than happy to splash the cash. Pellegrini’s side struggled up front without Sergio Aguero, who has just returned from the treatment table, with Wilfried Bony and Kelechi Iheanacho his only back up hitmen. Vardy still has two-and-a-half years left on his current £40,000 a week deal and Leicester will offer a salary hike. But Vardy could easily quadruple his wages with a dream move to the Etihad. Jackson Martinez could be in line for a move to the Premier League with Chelsea and Tottenham Hotspur ready to do battle for the out-of-favour Atletico Madrid striker’s services, reports the Sunday Mirror. The 29-year-old was heavily linked with Arsenal last summer before completing a £29 million move to the Vicente Calderon. Martinez, however, has failed to impress at his new club, notching just three goals in 12 appearances. The papers claims Diego Simeone is willing to consider offers for the Colombian’s services and Chelsea have been alerted by the striker’s availability. New interim manager Guus Hiddink is likely to allow the misfiring Radamel Falcao to return to his parent club Monaco when the transfer window re-opens, which would leave the Stamford Bridge club short of options up front. Diego Costa, who grabbed his side’s two goals in yesterday’s home draw with Watford, is only just beginning to show signs of form, while Loic Remy is struggling to hold down a starting berth. Martinez, who scored 92 goals in 132 appearances for his previous club Porto, would bolster Hiddink’s floundering forward line, as he looks to arrest the defending champions’ catastrophic league form. Tottenham, according to the report, could also be interested in bringing the Colombian international to the Premier League. Mauricio Pochettino is keen to add to his striking ranks in order to rest Harry Kane, who has started every domestic league game for the club so far this season.